Among the Jews who left Spain during the expulsion in 1492 was a boy not even 13 who would become one of the great figures in the history of the Jewish people, Rabbi Joseph Caro (sometimes spelled Karo). By the time of his death in approximately 1575 it could be said that from the time of Maimonides until his time no person had a greater and longer lasting influence on the Jewish people. He was not only the giant of his age, and all the ages since. After the Spanish expulsion, his family moved first to Italy, then Greece, then Turkey — where they stayed for many years — before finally settling to the city of Safed in the Land of Israel. He would spend the last 35 years of his life there. We know him as the author of the basic works of Jewish law that were written after the time of Maimonides. His first major work, authored while he was yet a young man in Turkey, was entitled, Kesef Mishnah. It is a commentary to the Mishnah Torah of Maimonides. Maimonides had written his magnum opus without quoting his sources by which he derived the law. He did not say where it was stated in the Talmud or why he chose one opinion over the other. The Kesef Mishnah filled that void. He cited the source, explained why Maimonides adopted that view and defended Maimonides against the opinions who opposed that viewpoint. In general, it is the most basic commentary on the Mishnah Torah. There is almost no subsequent printing of the book that does include the commentary of the Kesef Mishnah. 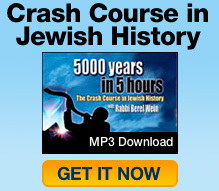 That book alone would have sufficed to make Rabbi Joseph Caro immortal. However, he wrote a second book which he says took him 25 years to write. It is the most encyclopedic book written on Jewish law until its time. It is even more encyclopedic than the Mishnah Torah. Remember, this was time before computers, voice recorders and access to libraries, as we know them. To write such an encyclopedic work meant that whatever he learned remained embedded in his mind. He called this book Beth Yosef (also Beis Yosef), the “House of Joseph.” It is a commentary to the Arbah Turim (or simply, “the Tur”), until then the authoritative law book for Ashkenazic Jewry. In other words, Rabbi Yosef Caro’s first book was a commentary to the greatest book of Jewish law written by the greatest Sephardic authority, Maimonides, and then he wrote an even more encyclopedic commentary on the greatest book of Jewish law till then by an Ashkenazic authority! The Beth Josef is massive, well organized and well written in a lucid style; the logic is almost unarguable. It became the foundation of all Jewish legal thought not only in his time but even through today. It is such a monumental work that a legend arose that Rabbi Josef Caro studied Torah with an angel. How otherwise could such a book have been written by an ordinary mortal? He had to have supernatural qualities to produce such a work. The point is that Rabbi Joseph Caro was so extraordinary that it was difficult to believe his works were written without supernatural help. His third and most well-known book is the Shulchan Aruch, which basically is an abridged version of the Beth Yosef, paraphrasing all the legal decisions. He also adopted the format of the Tur, organizing the Shulchan Aruch into four volumes, and even using the Tur’s numbering system for the paragraphs and sub-paragraphs. He writes in his introduction that he relied upon the opinion of the three great scholars: the Rif (Rabbi Isaac Alfasi), the Rambam (Maimonides) and the Rosh (Rabbi Asher ben Jehiel, whose son, Rabbi Jacob, wrote the Tur). If there was a difference of opinion between the three, then he generally decides according to the majority. Since two of the three were Sephardim, in matters of differences of custom the Shulchan Aruch is basically a Sephardic work. Just ahead we will discuss how it became a universal work so that even the Ashkenazim have adopted it. The Shulchan Aruch was published in 1542. From the moment it saw the light of publishing it became the book of Jewish law, and it remains so today. Notwithstanding its complete acceptance today, when it was first published it was not accepted with glowing accolades by everyone. There was a great deal of opposition to it for various reasons; if nothing else, anything new automatically brings about opposition. The main objection to it by men of stature was that it would downgrade Jewish scholarship. They said that now all a person would have to do was open the book and decide the law without studying the Talmud and its sources, without understanding the process and progression of the law. They held that it would diminish Jewish scholarship and make it sterile, because there is nothing as dry as a law book. They felt that all the life that was reflected in the Oral Law – in the Talmud and later books – would now be dried up by the Shulchan Aruch. All those fears proved groundless. Within about 50 years it had swept the Jewish world and all opposition to it faded by then. At the same time that Rabbi Joseph Caro lived and wrote his books in the Land of Israel there lived a great scholar in Krakow, Poland, by the name of Rabbi Moses Isserles, referred to by his acronym, Rama (or Rema). Due to his unbelievable accomplishments, he too is shrouded in legend. One is that he lived 33 years, wrote 33 books and died on the day known as Lag BaOmer, the 33rd day of the 49 day period between Passover of Shavuos (see Leviticus 23:15–6). That he died on Lag BaOmer seems clear because that is the date placed on his tombstone, which can still be seen today in the ancient Jewish cemetery in Krakow. Indeed, until the Second World War thousands of Jews would flock to his gravesite every year on Lag BaOmer. The important point that no one disputes was the Rabbi Moses Isserles was a genius of rare proportions, of sterling character and great modesty, who at a very young age was the recognized leader of Polish Jewry. Whether he died at 33 or not, there is no question he died a young man. The genius behind what he did was that rather that authoring his own book of Ashkenazic opinions in Jewish law and customs he inserted comments as glosses into the text to the Shulchan Aruch. Had he written a separate book then the Jewish world would have, in effect, two Shulchan Aruchs. However, with his far-seeing eye he wrote his “Shulchan Aruch” as glosses to Rabbi Joseph Caro’s. Wherever he disagreed with Rabbi Joseph Caro, or wherever he felt that the Ashkenazic opinion was not represented fully, he inserted a comment into the text. By so doing he made the Shulchan Aruch universal and relevant to all Jewry, Sephardic and Ashkenazic. From his time onward, the Shulchan Aruch has always been printed with the text of Rabbi Joseph Caro and the glosses of Rabbi Moses Isserles. That made the Ashkenazic ideas well-known and appreciated by the Sephardim, and the Sephardic customs well-known to the Ashkenazim. The Sephardim followed the rulings of Rabbi Joseph Caro while the Ashkenazim followed those of Rabbi Moses Isserles, but the book is one book. The Jews only have one Shulchan Aruch. It cannot be overemphasized how important it was that Rabbi Moses Isserles made it one book instead of two. Safed is considered one of the four particularly holy cities in the Land of Israel — along with Jerusalem, Hebron and Tiberius. The Safed at the time of Rabbi Joseph Caro was particularly holy, because in this small community lived men of truly awe-inspiring, extraordinarily stature, including Rabbi Moses Alshich, a scholar of vast knowledge and the most famous orator of the time, and Rabbi Isaac Luria, more popularly known as the Ari (the “Lion”), a scholar of profound depth who did more than anyone to spread the study of Kabbalah (Jewish mysticism) to the masses of Jews in Europe – and, indeed, across the centuries. He put Kabbalah into the forefront of Jewish life. It was said that the Ari could see everything about a person just by looking at his face — to the extent that people avoided him if they knew that had been guilty of something they wanted to keep a secret. He regularly conversed with angels, it was said. Of course, it wasn’t just his miracles and miraculous way, but the stupendous depth in his teachings that is a testament to the substance behind the legends. Even the great Rabbi Yosef Caro would come to hear the Ari speak. The Ari is buried in the ancient cemetery in Tzfas, along with his students. Also in the cemetery is the tomb of Rabbi Yosef Caro. On his tombstone it says, “Here is buried Rabbi Yosef Caro, Author of the Shulchan Aruch” – and no other title. This is a testament to his humility, as well as a statement that if one is author of the Shulchan Aruch there is no need to ascribe any other accolades that testify to his greatness. In short, the people who lie in that cemetery were unmatched in the impact they had on the Jewish people for the next four or five centuries. God put them together in this one small town to recharge the physical and spiritual battery of the Jewish people after the exile from Spain and all the ensuing troubles that engulfed them. It was a generation of greatness, of giants, of people who learned with angels. It is hard to imagine what the Jewish people would look like if they did not have a Shulchan Aruch or the vitality that the Kabbalah and the legendary piety and holiness that this cadre of great men supplied.